Gregory Shideler, owner of the new Tier 2 franchise, also owns PIRTEK Kent in metro Seattle. 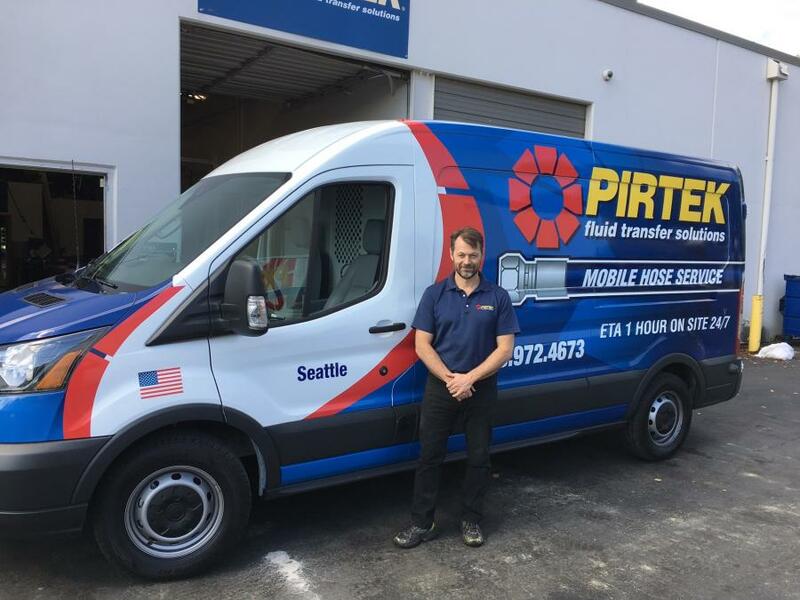 PIRTEK, a fluid transfer solutions company, continues its expansion across the United States with the recent opening of PIRTEK Seattle. The new location operates under PIRTEK's Tier 2 model, a mobile-only option that lets franchisees lease two vehicles and keep inventory in a storage facility. The Tier 2 model allows for PIRTEK ownership at a significantly lower point of entry than the traditional Tier 1 model, which includes a service & supply center along with the mobile service vehicles. Gregory Shideler, owner of the new Tier 2, also owns PIRTEK Kent in metro Seattle. PIRTEK is the only franchise of its kind in the United States, providing hydraulic and industrial hose replacement sales and services. There are 72 PIRTEK franchises and a fleet of mobile service vehicles throughout the United States. Globally, PIRTEK has more than 400 locations and 2,000 mobile service vehicles in 23 countries. The company encourages U.S. veteran participation by offering them a discount off of the initial franchise fee when they set up a new PIRTEK location. Before becoming a PIRTEK owner, Shideler worked overseas in both the fishing industry and the oil and gas business. His acquisition of PIRTEK Kent two years ago enabled him to move back to his hometown of Seattle and operate an established business. The current opening of a Tier 2, Shideler said, is a cost-effective way for him to expand his existing territory and pursue new business.